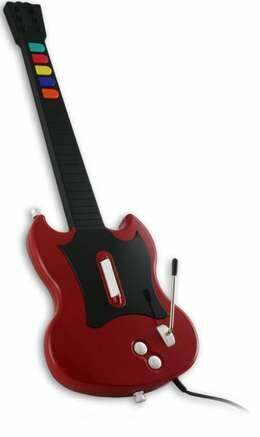 Sometime last week, Activision and Gibson Guitar decided to end their legal wrangling over a patent infringement claim made against the Guitar Hero franchise. Terms ain't disclosed. Gamasutra dug up the docs, which indicate only that Gibson and Activision shook hands on April 17 and a federal judge in California terminated the case. A federal court had already thrown out Gibson's initial infringement claim regarding a patent for a "system and method for generating and controlling a simulated musical concert experience." That court said Gibson's argument "border[ed] on the frivolous." Following that win, Activision asked for a declaratory judgment against Gibson, wanting its overall patent ruled invalid, among other things. I'm guessing Gibson still wants to keep the claim to whatever it really did patent - which isn't rhythm gaming - and wouldn't like to lose it by overreaching like this. So those two settled up without the judge stepping in. Who knows what changed hands, but Gibson may have paid a little money, probably legal fees. Gibson still has a suit out there against Harmonix and Electronic Arts, but if this is any indication, that too should be dismissed, if not settled.